Steyning Parish Council is pleased to announce that it is moving ahead with its new neighbourhood plan, known as the Steyning Community Plan. The aim of the Steyning Community Plan (SCP) is to ensure that the town develops in line with the wishes and needs of its residents of all ages, and offers an exciting once-in-a-generation opportunity for the community to have its say in shaping the long-term future of the town. The Plan will embrace the whole environment of Steyning including its historical heritage, transport & infrastructure, business & tourism, natural surroundings and future housing requirements. The SCP Steering Group is holding a ‘pop-up’ community communication event at this month’s Steyning’s Farmers’ Market. All are welcome to come and meet its members, chat more about the scope, vision & process of the SCP and to discuss what is important to the future of the town. Come and have your say and get involved! • Develop a shared vision for the community. • Propose where new homes, shops, offices and other development should be built. • dentify and protect important local green spaces. • nfluence what new buildings should look like. 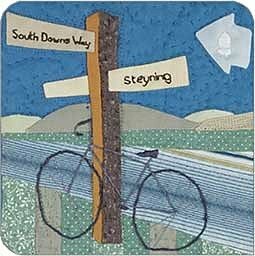 Steyning Parish Council is preparing the neighbourhood plan and has appointed a Steering Group to complete the process. To help assess future needs, the Steering Group is calling upon landowners, and agents of land within the parish for expressions of interest in applying for future development permission. This is an informal opportunity for landowners and developers to propose sites, within Steyning, for development. This exercise will not in itself decide whether a site would be allocated for development nor will it commit the proposer(s) to applying for planning consent, but it will enable the Steering Group to better understand how future needs might be met by the available land. If you would like a site/s to be considered for development please tell us. The sites do not necessarily need to be owned by you and they can be proposals for a wide range of development uses. Please note that by submitting the details of a site you are agreeing that Steyning Parish Council can make those details public.